Although I love springtime vases filled with fragrant peonies, blue iris and cabbage roses, I equally adore the vibrance and longevity of autumn bouquets. At this time of year, foliage colors and textures are so rich and varied, that it’s almost unnecessary to add flowers —but of course, who can resist? Hydrangea, asters, dahlias, sunflowers, fairy candles, and other late summer and early autumn blossoms are at peak beauty right now, and they often need little embellishment. Just add a few Viburnum branches, orangey ferns or feathery grasses and you have a stunning arrangement. Dried flowers alone, or mixed with fresh elements, are especially beautiful in fall. For tips on how to dry flowers, and which ones work best, travel back to my post on drying flowers and herbs, here. 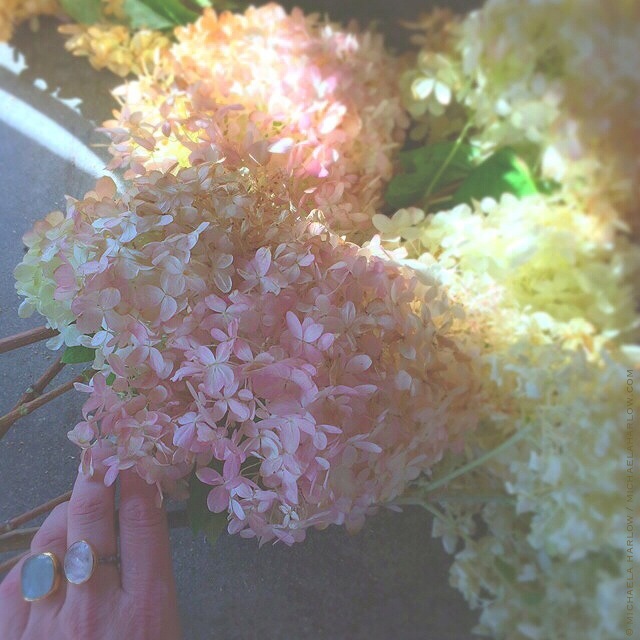 For fresh-cut flower care tips, visit my past post on the subject here. The simplest and easiest way to dry hydrangea blossoms, is to harvest when mature (after cool weather sets in is best), remove leaves from stems and arrange in vases with a small amount of water. Instead of refilling the vase each day, simply allow the vessel to run out of water, drying the flowers naturally. 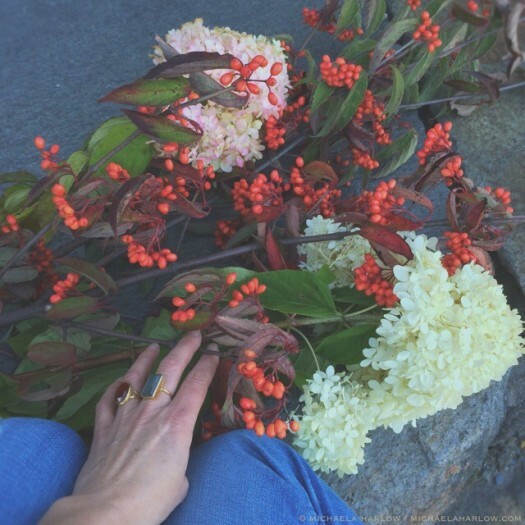 Mohawk Viburnum branches, filled with scarlet fruits, make spectacular additions to flower arrangements. While the berries add bright color, the green leaves provide complementary contrast and the woody branches lend excellent support to more ethereal elements. 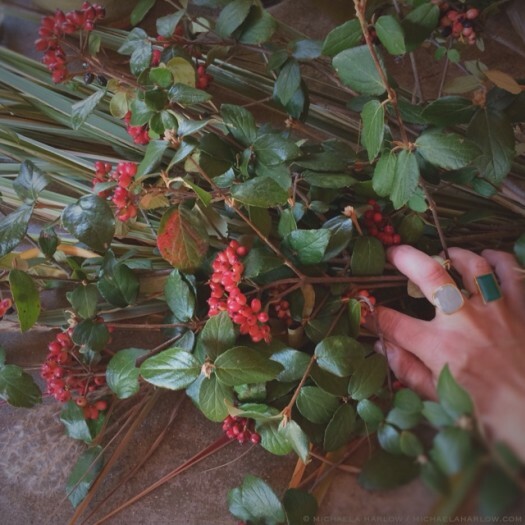 You are currently reading Gathering Branches, Bramble & Berries: The Allure of Autumn Bouquets at The Gardener's Eden.